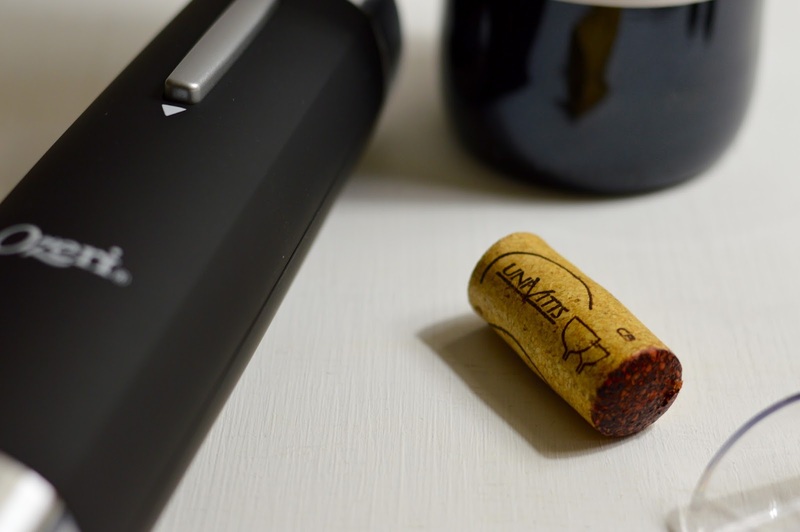 An electronic wine opener might sound like something you don’t need to invest in because most manual wine openers work ok, right? Well, that’s where you’re wrong! 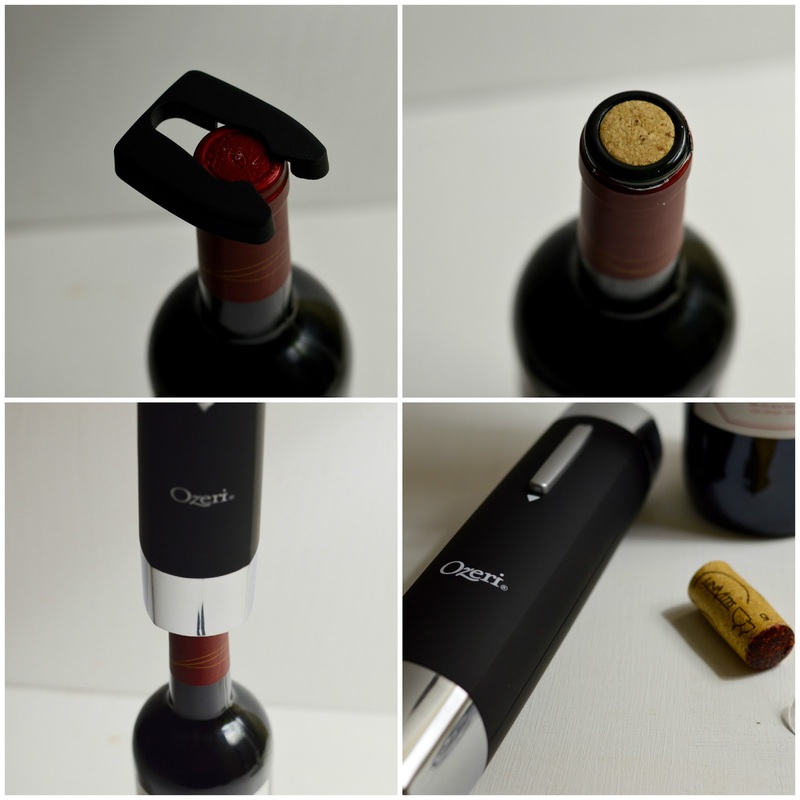 I was recently introduced to an electrical wine opener and it changed the way I look at manual openers. You know the routine with traditional wine openers– First, you puncture the foil wrapper, which we all know is never quite a clean break. Then you proceed to opening the bottle, which usually isn’t terrible if you’re working with a strong cork. But sometimes when a cork is aged it can crumble as you take it out of the bottle. I hate that! I know you do too. 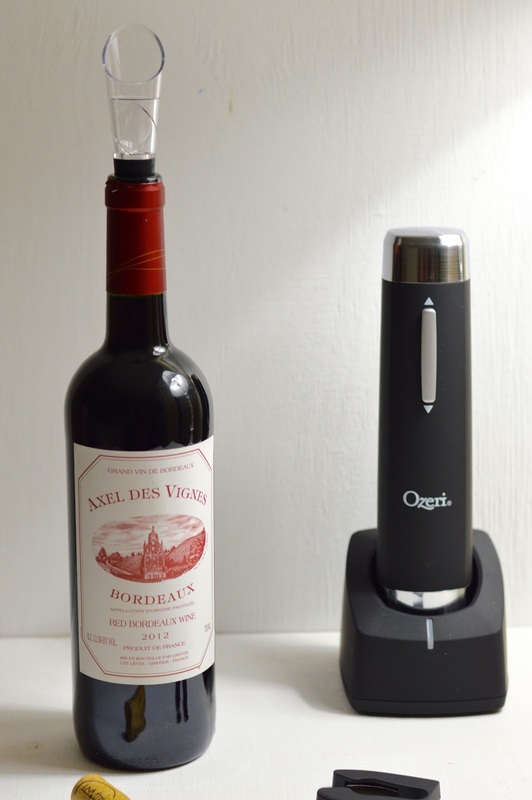 Ozeri Prestige electronic wine opener ($19) was able to make me look like a wine pro as soon as I opened the box. 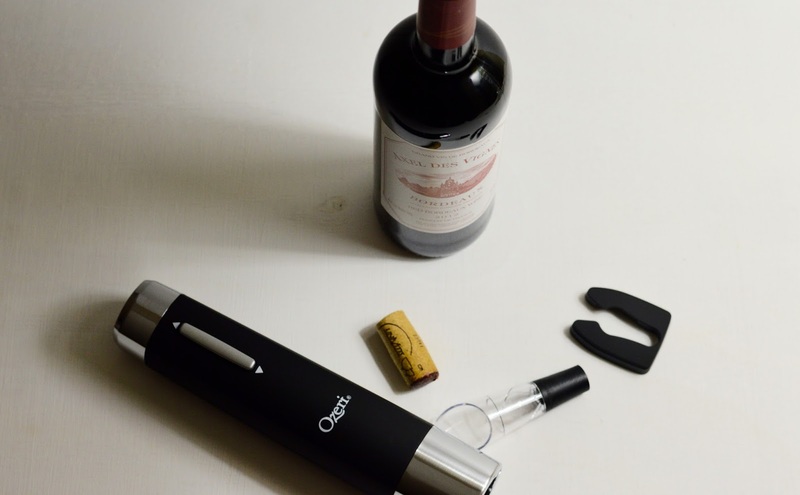 It came equipped with the electronic wine opener, a charger for it, plus a wine foil cutter and an aerating pourer. This wine opener was easy assembly, because it required none! How clutch is that? Open the box and open your first bottle of wine, electronically, it was as simple as that. The up and down buttons on the opener allowed for easy use and functionality. I loved how smooth the electronic opener slid over multiple wine bottles. The opener is strong enough to withstand being used up to 80 times before being recharged! Are you now a believer? 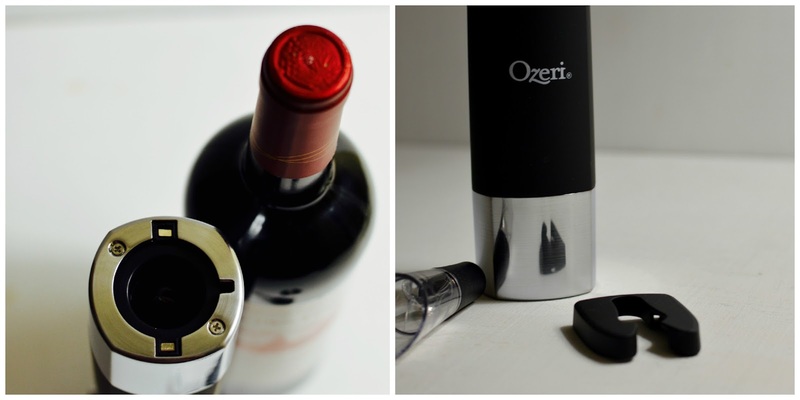 Let me know your thoughts on electronic wine openers below! 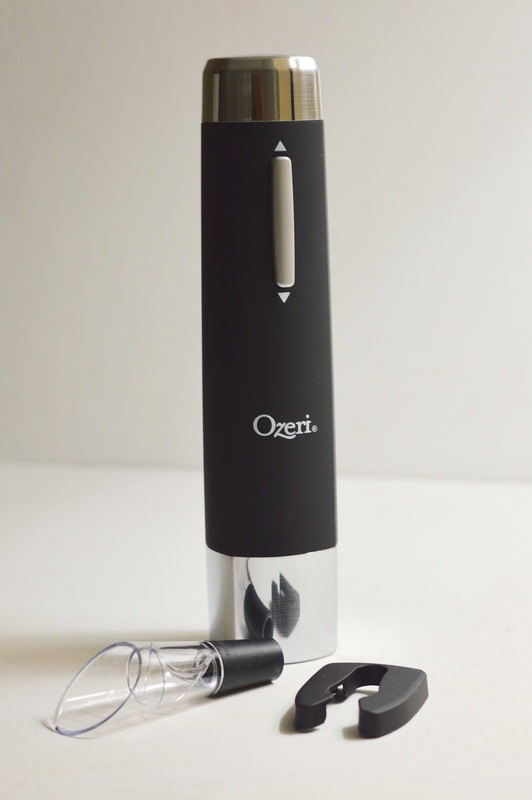 Thank you to Ozeri for providing me with the products for review!